Posted on November 18, 2013 | 3111 views | Topic : Property News. An abandoned project in Hulu Selangor. THE Hulu Selangor District Council (MDHS) is continuing to approve more projects in the district although more than a dozen have been left abandoned, some for over a decade. MDHS president Tukiman Nail justified this by saying that development was needed. “We will continue to approve other development projects as it will not be fair if we stopped them totally. “We don’t want Hulu Selangor to be left behind compared to other districts. The council should not penalise new developers because others had abandoned their projects. “New developers should be given a chance to prove themselves.In fact, we have blacklisted developers of abandoned projects and not approved new projects by them,’’ he said. Buyers thought the area was set to become a booming township but that never materialised. Most of the shoplots and houses here have been abandoned as buyers could not pay their bank loans. Property prices here also plunged, forcing owners to leave their lots empty which resulted in many units being vandalised. 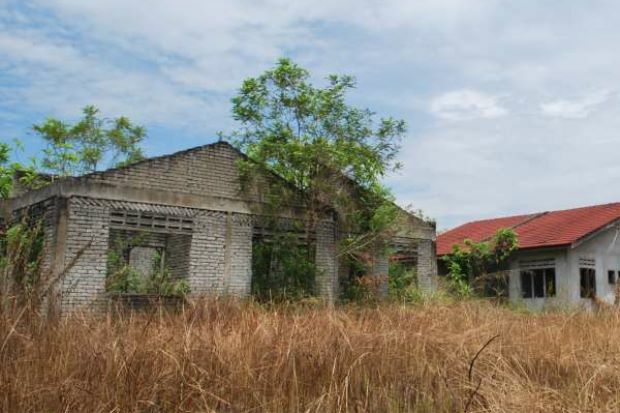 Tukiman said the district council and the state lost money on abandoned projects as they were unable to collect assessment taxes from houseowners. “We want the abandoned projects here to be revived but there are no ‘white knights’ willing to do this,” added Tukiman. However, the Selangor government may provide a lifeline. Selangor Housing, Building and Urban Settler Management Committee chairman Iskandar Abdul Samad said Permodalan Nasional Berhad aimed to develop the Hulu Selangor area. He said a catalyst was needed to bring more development into the area. “There has to be mixed development, namely commercial, residential and industrial. Places such as Bukit Beruntung only had housing development projects so there was no place for people to work,” he said. Iskandar noted that initially the KL International Airport (KLIA) was supposed to have been built in Hulu Selangor. However, Sepang was later chosen as the site for the airport. He said developers had rushed here, thinking it would become the next Petaling Jaya. “Unfortunately after KLIA went to Sepang, many developers pulled out as well,” he added.